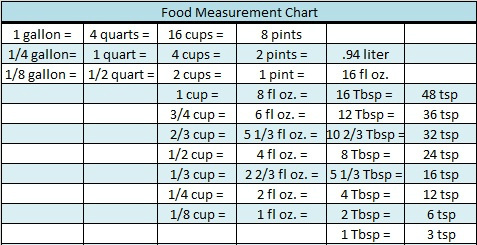 I think it is always handy to have some type of measurement chart around when cooking. This is the one that I like to use when cooking with different measurements. 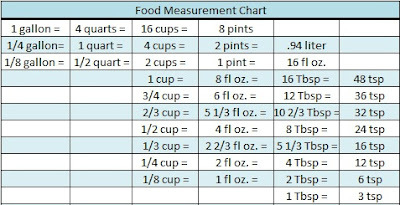 Hope this helps you out in the kitchen! I agree! I can’t tell you how many times when I was making up a recipe and kept count of tablespoons added that I would say to myself…”how much was that in cups?”. Thanks! This is great. Mostly I use grams and weigh everything but there are some old family recipes and recipes from American cooks that I can’t resist. I’ve printed it!